The ThermaTech system enables us to clean delicate surfaces using high temperature, but low pressure. By heating the water to around 155ºC, but maintaining a liquid spray we can clean stonework, render, woodwork and other soft surfaces thoroughly at only 50 bar. The ThermaTech cleaning system allows a low pressure spray of water at 155ºC. Other steam cleaners allow the water to turn to dry steam at this temperature which is not suitable for cleaning. 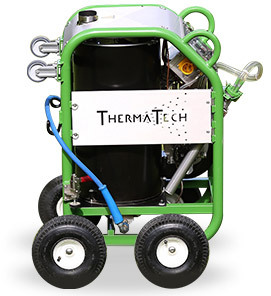 This is where the ThermaTech sets itself apart from hot pressure washers. 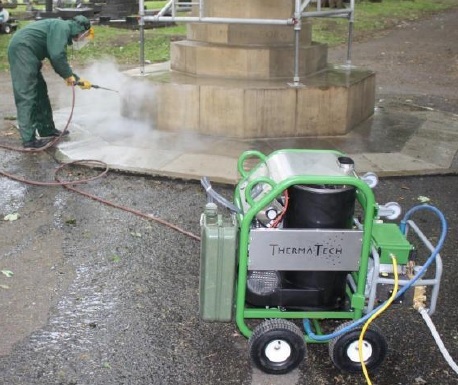 Although we have the use of hot pressure washers available for cleaning some surfaces, we use the ThermaTech cleaning system for fragile surface types. The benefits of using super-heated water are that the water volume and pressure is low enough to clean the most fragile hard surfaces without damaging the surface we are cleaning. 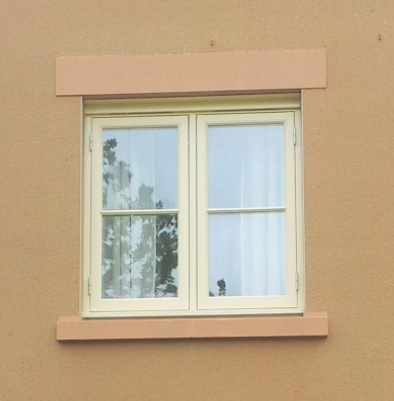 The ThermaTech(equivalent to DOFF) is excellent at cleaning bathstone (limestone, bath stone), brickwork(masonry), rendered walls (K Rend, Monocouche, Weber, Pirex, Sto) and cladding. It has been used on many heritage sites due to its low pressure, as it does not damage the cleaned surface. The super heated water takes algae, moss and lichen off the surface with ease. At 155ºC paint will melt away from the surface. 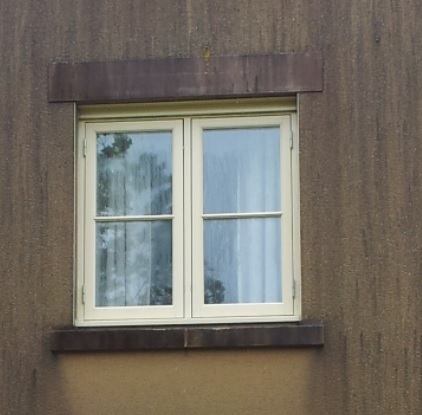 The ThermaTech ( DOFF equivalent) achieved far superior results over cold pressure washing and paint stripper. For some paint types a paint softener is needed. Using ThermaTech’s super heated water cleaning system we are able to remove oily spills from car parks, driveways and roadways effectively. What surfaces can be cleaned using the ThermaTech?